Kevin Hunter Issues Public 'Im Sorry' Statement To Wendy Williams, Right After Ferrari Gift For Alleged Mistress Got SNATCHED UP! Now THESE are the moves that need to be made hon-tea. Wendy Williams was spotted looking for a new apartment in New York City today while Kevin Hunter's alleged mistress' new Ferrari was spotted getting TOWED AWAY. Now Kevin is putting out a statement about how sorry he is. Men love being sorry, don't they? 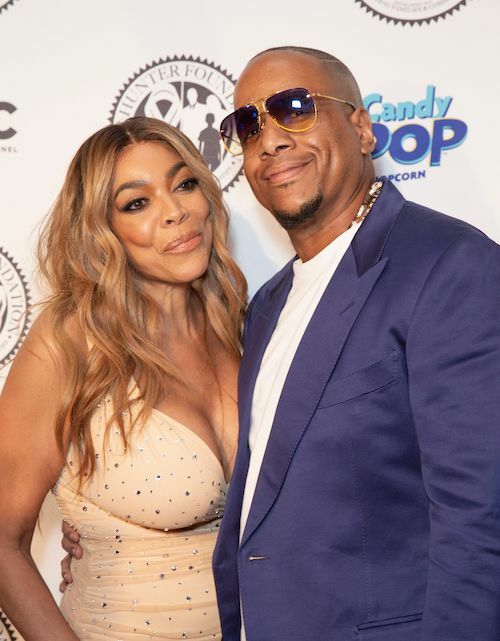 Just days after Wendy Williams filed for divorce, and after plenty of receipts surfaced proving an alleged decade long affair between Kevin and Sherina Hunter, he's publicly stating how "sorry" he is. Wendy's husbandger issued a statement today saying he regrets his actions and is working on his own sobriety. A day late and several dollars short. Meanwhile, as Kevin issued his statement, that $215K gold Ferrari Sherina conveniently popped up with right after giving birth to what is allegedly his lovechild, was spotted getting towed away in Manhattan. Looks like the Repo man - or Wendy - snatched that ish right on up. Especially if it was the push gift from Kevin everybody already thinks it is. According to the Daily Mail, Kevin's been fired from the "Wendy Show" as a producer and has been given 48 hours to get his ish out of his and Wendy's house. Yet, TMZ claims the firing hasn't happened just yet, but it most definitely will. Reports that Kevin Hunter has been fired are not accurate. He has not been fired, but as we reported, it's just a matter of time. He WILL be gone from the show ... but it hasn't happened yet. Wendy said last week she's busy planning a new life for herself and Kevin Jr. That's her and Kevin Jr. only. She was spotted apartment hunting earlier today and checking out the 50 West building in Battery Park City. PREVIOUS: BOY BYE! Jennifer Hudson's Ex-Fiancé David Otunga Is Really Trying To Pull A 'Kendu Isaacs' On Her!